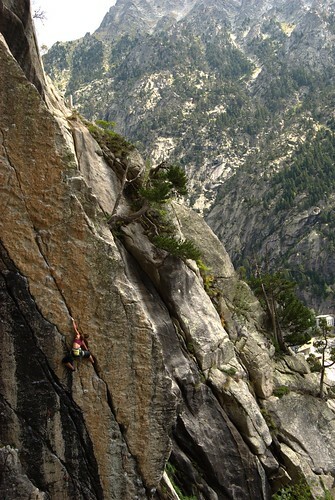 Julia Snihur sending Massa Kumba, 7b in Cavallers in Vall de Boí in north west Catalunya. The crack to the left is 7b+. The continuation to this route is 8a. Tagged with cavallers, crack climbing, granite, Photos, Pyrenees.